On Monday 23 February, a screening of Tomorrow We Disappear transported an audience at the Frontline Club in rainy central London to the vibrant Kathputli slum in Delhi. The film follows the families of acrobats, magicians, painters and puppeteers resident in the artist colony of Kathputli as they battle the authorities who have sold their land to private developers. This screening of Tomorrow We Disappear, a sensitive and genuine depiction of the inhabitants of India’s “tinsel slum,” was followed by a Q&A with directors Jimmy Goldblum and Adam Weber. The filmmakers began the discussion by commenting on their masterful use of sound and lighting in the film. “We really took our time from a technical perspective,” Weber said. In order to capture truly natural moments, the filmmakers planted microphones throughout the slum. “We would walk around covertly to collect audio,” Goldblum explained. An audience member wondered how two American documentarians had succeeded in creating such an emotionally honest documentary about a culture of which they were not a part. Weber and Goldblum suggested that the universality of the experience of the Kathputli artists, whose cultural heritage was in the process of being eroded by modernisation, made it possible for them to accurately portray their story. Goldblum also paid testament to the translator on their second trip to New Delhi, a fellow American who had been fascinated with Indian culture since the age of fourteen, which enabled them to establish a “peer to peer” relationship with the artists. The translator’s “respect for the culture allowed us to build relationships on the ground,” Goldblum explained. Despite the language barrier, Weber described how “over time we got so comfortable with them… that we picked up a way of communicating.” The film pays witness to heated disputes amongst the artists about how best to deal with the threat of their homes being destroyed. It also offers a snapshot of the incredibly personal moments of its protagonists, such as a young boy entertaining himself by bringing his puppets to life in a dimly-lit room. “I think our outsider status worked,” Goldblum added. 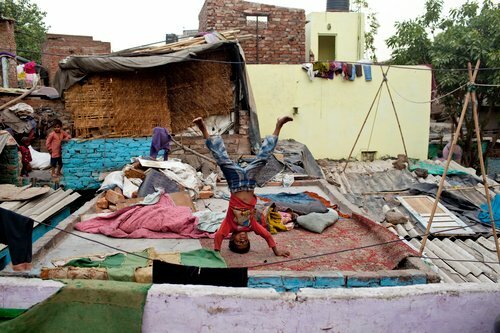 Although only around 300 of 3,000 people have moved into the ‘transit camp’ (temporary accommodation whilst the slum is renovated into modern flats), the situation in the Kathputli colony remains tense as its inhabitants refuse to leave their homes. The bulldozers have not yet arrived but small incidents often turn into full scale police raids. 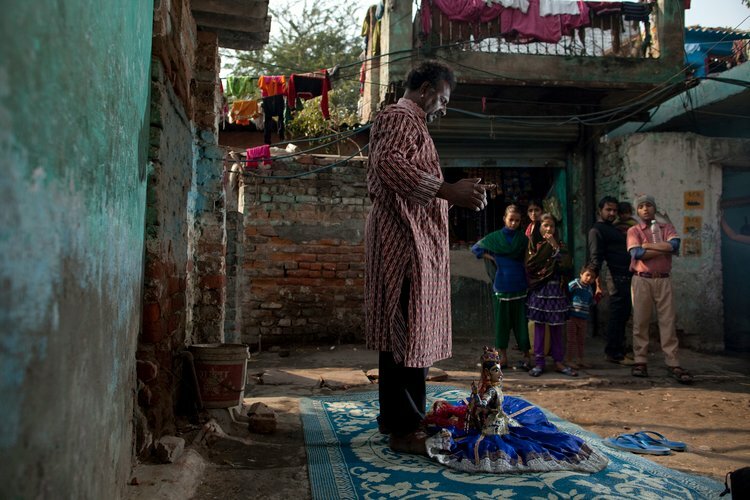 For more information on the Kathputli colony and Tomorrow We Disappear, visit the film’s website here.